This Independence Day, the night sky will remain dark in many Texas cities. Most have issued residential fireworks bans because of the historic drought, and some are scrapping annual celebrations for fear of igniting more than the sparklers. This Independence Day, the night sky will remain dark in many cities across Texas. Most cities have issued residential fireworks bans because of the historic drought, and some are even scrapping their annual community celebrations for fear of igniting more than just the sparklers. Austin’s symphony orchestra concert and fireworks show is canceled because organizers didn't expect people to show up without fireworks. “We tried to think of other alternatives such as a light show, but when it comes down to it, the fireworks are what brings people out,” said Anthony Corroa, executive director of Austin Symphony Orchestra. The ASO Fourth of July show, which has been running for 35 years at Auditorium Shores, usually draws as many as 75,000 to 100,000 people for the concert and fireworks display. “We are certainly very sorry and fully expect to be back next year, given the conditions are different,” Corroa said. 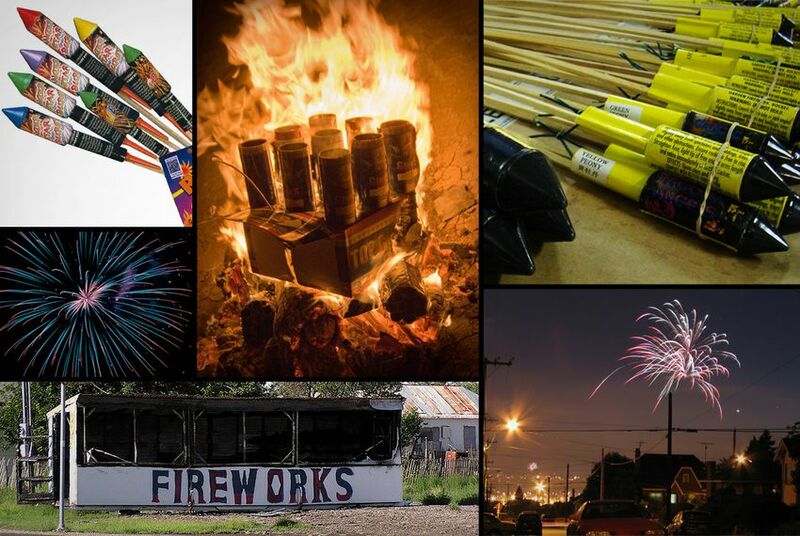 Some cities, including Houston and Dallas, are still allowing public professional pyrotechnics, but backyard fireworks are strictly prohibited. Craig Holcomb, president of Friends of Fair Park, the non-profit that is sponsoring the Fourth of July celebration in Dallas, said their festivities are going forward largely because the location is mostly concrete. San Antonio is still having its community celebration, but without the fireworks. Instead, they'll have a band, said Lila Cockrell, San Antonio Parks Department executive director. “We are optimistic that our park will be full and we will celebrate and have good family fun," she said. Houston: The city’s Freedom Over Texas Celebration will take place as scheduled. City residents are prohibited from lighting fireworks, but groups can apply for permits to have a professional fireworks display. Dallas: Though it is illegal for residents to shoot fireworks, the city’s Fair Park Fourth Celebration will continue as usual with a professional fireworks show. Fort Worth: Like Dallas, Fort Worth residents are not allowed to blast fireworks without a professional permit. But the city plans to go ahead with its fireworks festivities at Fort Worth's Fourth. San Antonio: Due to extremely dry conditions, fireworks are banned even for professionals with a permit. San Antonio will still have their July Fourth Celebration at Woodlawn Lake Park, and to make up for the missing fireworks, will be bringing in an additional band for the evening. Austin: The Austin Symphony concert and fireworks have both been canceled because of the fireworks ban. No groups can apply for fireworks permits. El Paso: Several celebrations in the city will have fireworks. Residents are not allowed to light fireworks. For information on the celebrations, go to the El Paso Times. Arlington: The city will have its Fourth of July parade at 9 a.m. but will not have fireworks. Residential fireworks are prohibited. Corpus Christi: The city’s Big Bang Fourth of July Celebration will feature a professional fireworks show. Residents will receive fines if they light fireworks. Plano: The city will have its annual Independence Day Celebration with a professional fireworks display. Residents are not allowed to shoot fireworks. Lubbock: All fireworks, including professional public displays of fireworks, are banned. The Fourth on Broadway Celebration will continue without the fireworks show.